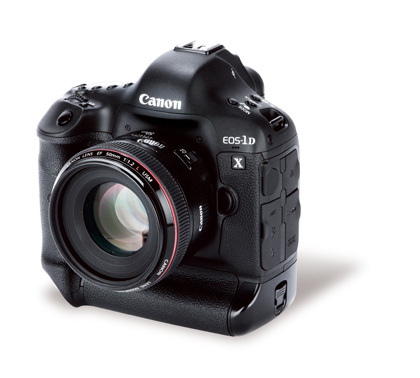 The body of the EOS-1D X has the same weatherproof construction as the EOS-1D Mark IV, with 76 seals around a magnesium body and internal structure. The 1D X is slightly larger and considerably heavier, though, weighing 1,340g. Combined with even the lightest of lenses, it feels very solid and reassuringly sturdy. The grip is deep and long, making it surprisingly easy to hold in one hand, although the strap makes for welcome relief during rest periods. While the layout of the body is very familiar, there have been a few small changes. For instance, on the top plate, white balance now gets its own dedicated button and the FEL button is replaced by one of the three multi-function (M.Fn) buttons. 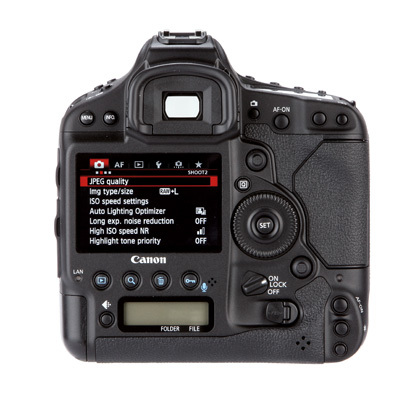 On the back next to the main control dial is a dedicated live view button and a quick menu button, as on the EOS 7D. A second thumb joystick has been added for vertical operation and the zoom controls have moved from the AF select and AE lock buttons to its own dedicated button, while zooming during image preview is performed using the finger dial. This is the one function that regularly confused me during use, as I instinctively tried to zoom with the old buttons. In time, though, I’m sure users will adapt and find that the finger dial makes it far easier to zoom in and out quickly. 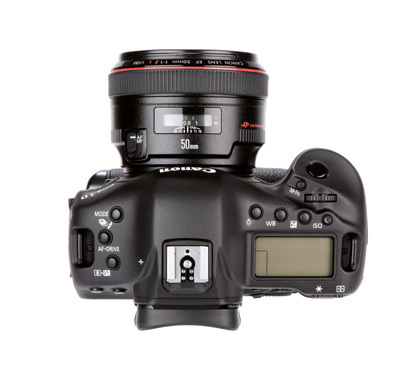 On the front of the camera, the multifunction and depth of field preview buttons placed to the right of the lens are duplicated in the bottom right for natural finger placement in both horizontal and vertical holds. To avoid buttons being knocked or pressed accidentally, one or all of the main dial, quick control wheel and thumb joysticks can be disabled using the ‘lock’ position on the power switch. The vertical control buttons can also be turned on and off with a separate switch. The styling of the buttons has been refined slightly across the camera, with a more rounded appearance – again in the style of the EOS 7D. The quick menu is a handy route to some of the more popular features but, with the exception of the picture styles, white balance shift and auto lighting optimiser, all these functions already have direct access via a button on the camera body. As a tool, it works better as a method of checking the settings than actually changing them. The main menu is clear and easy to use, sectioned by icons, each with a range of tabs, so functions can be found by scrolling across rather than down a long list.